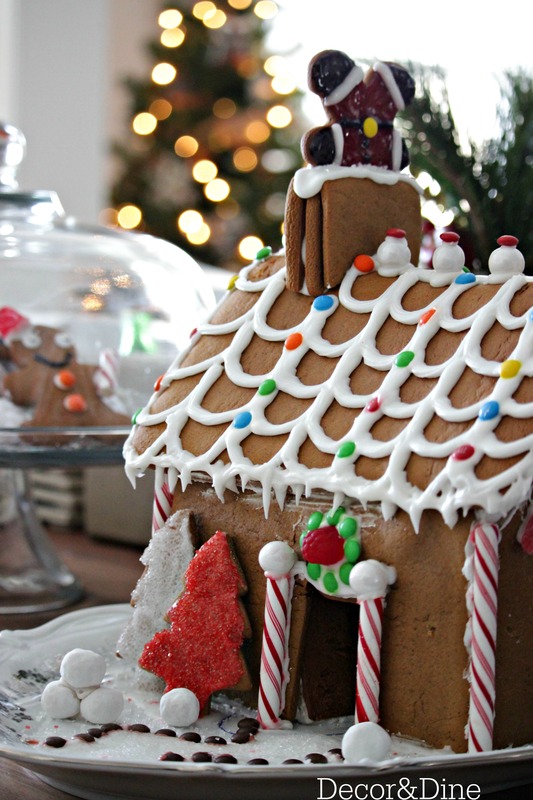 What’s Christmas without a Gingerbread House? It’s fun to make and doubles as a dessert. 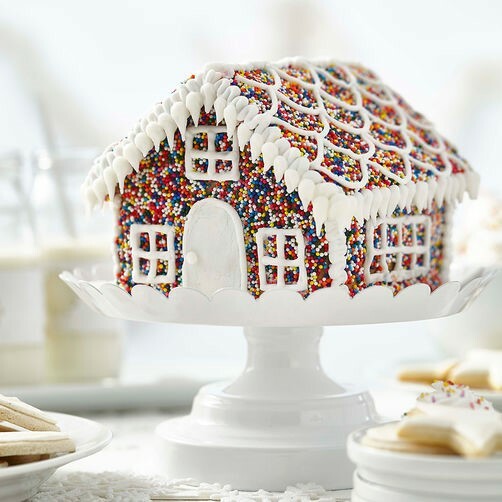 Start a tradition of making a Gingerbread House with family and friends. It’s fun and easy for kids of all ages. 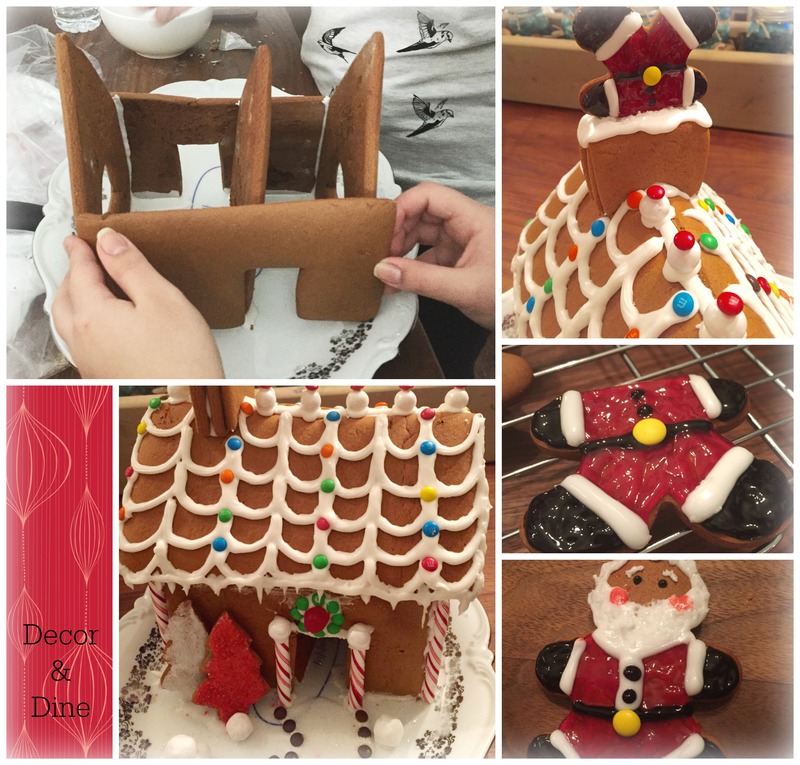 Margaret’s daughters, now adults, enjoyed baking, assembling and decorating their own Gingerbread House. They added a personal touch and made Santa stuck in the chimney. 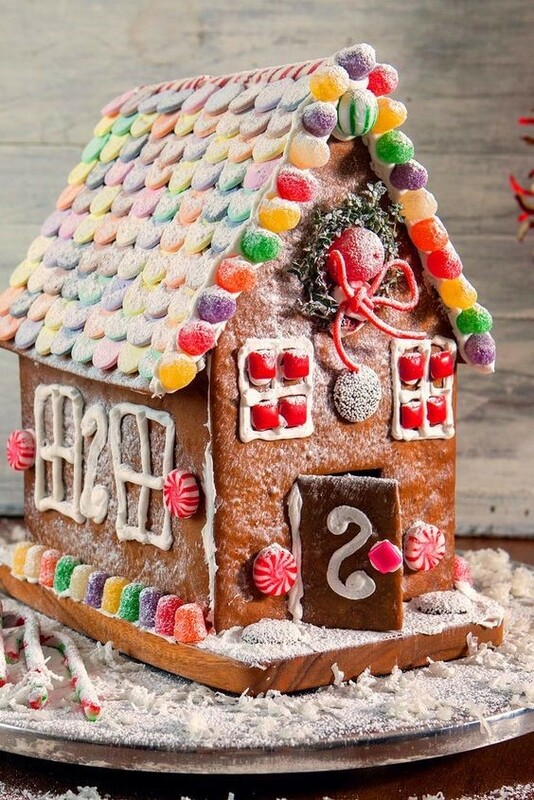 Santa’s Gingerbread House. Recipe adapted from Betty Crocker! Gingerbread House templates visit Here. In a large bowl, beat brown sugar, shortening, molasses and water with a spoon or electric mixer on medium speed until well blended. Stir in remaining ingredients. Then cover and refrigerate for at least 2 hours. Heat oven to 350 degrees F. Grease cookie sheet lightly with shortening or cooking spray. On a cookie sheet, place cut outs about 2 inches apart. 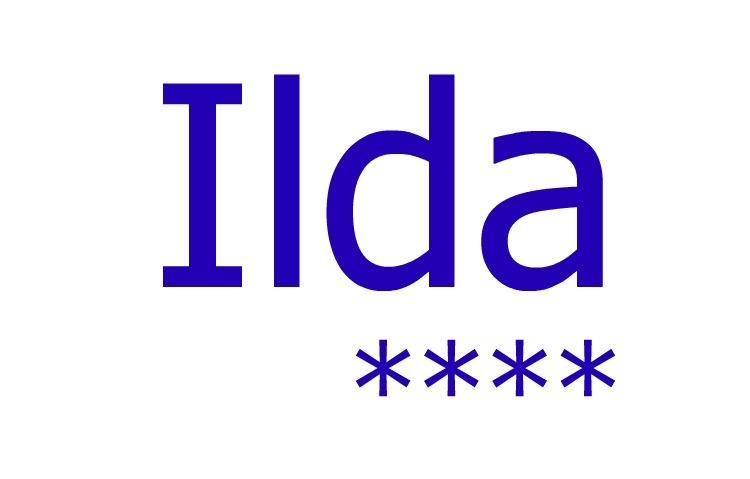 Bake 10 to 12 minutes or until no indentation remains when touched. Then immediately remove from the cookie sheet onto a cooling rack. Cool for about 30 minutes. For the Frosting: In a medium bowl, mix powdered sugar, vanilla and half-and-half cream until frosting is smooth and spreadable. Add additional sugar if needed to make frosting thick, this is important to keep the gingerbread house together. Add food colours as desired. Frost cookies and decorate. 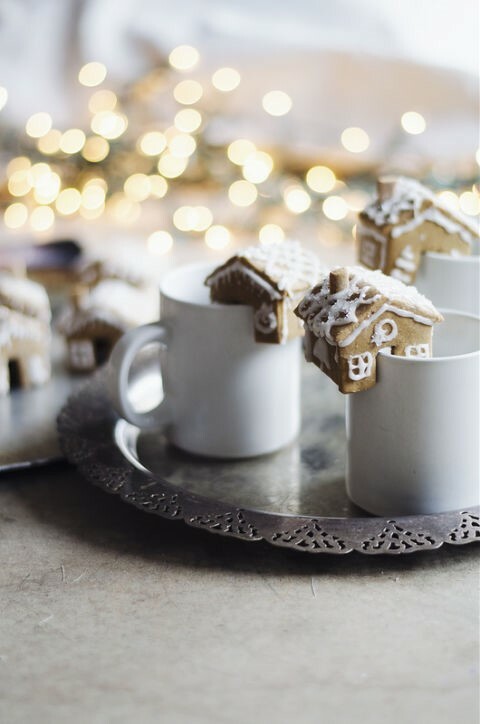 Here are other Gingerbread crafty ideas to get you inspired. Sprinkles make any event fun. Surprise your guests with this little treat. 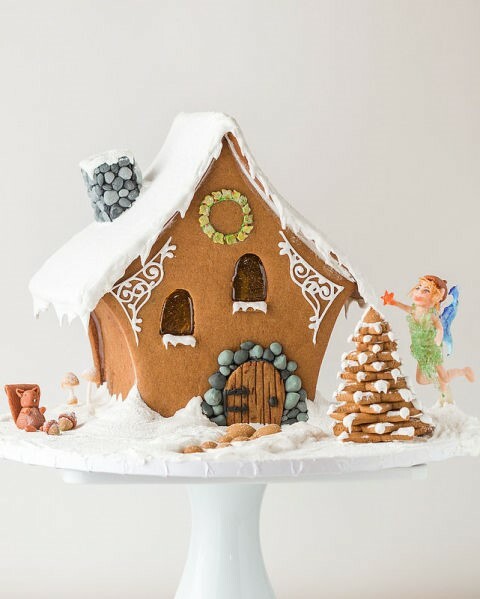 Who says it has to be a Gingerbread House…. 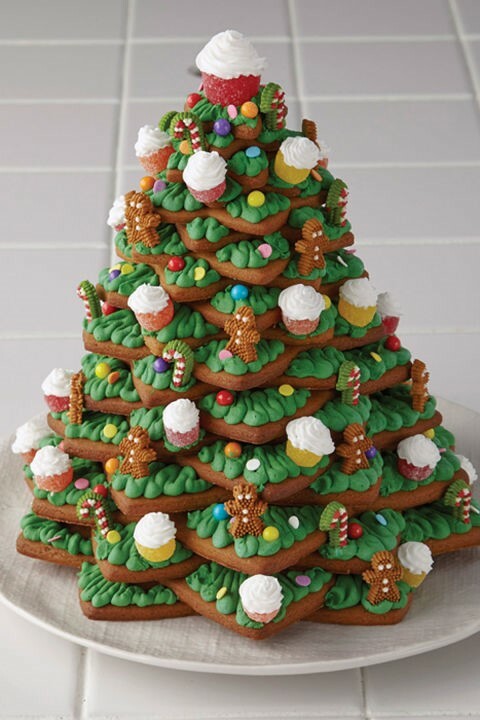 A homemade Christmas tree with cupcake ornaments. Delicious! Enjoy this holiday treat with your family. From baking, assembling and decorating to eating it! The smiles will say it all. These are all so cute! 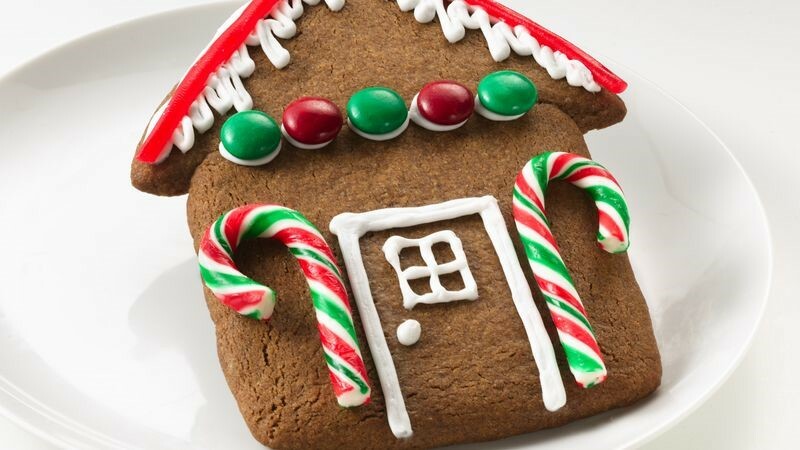 We do decorate a gingerbread house each year but I have never tried making my own gingerbread. We tend to buy the kits with some extra candy since my boys care so much more about the candy than the house.